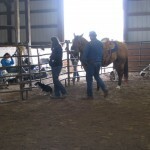 What a great weekend and a fun group of people and dogs. 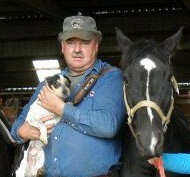 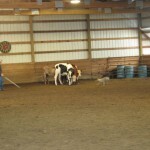 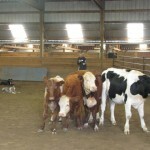 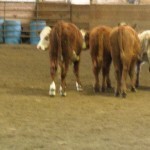 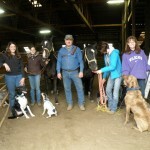 I would like to extend a special thanks to our host Carrie Lynn who owns Stonesthrow Arena & Stable. 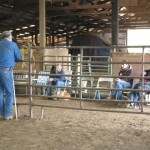 We are fortunate to have such a nice and versatile facility to use for our clinics. 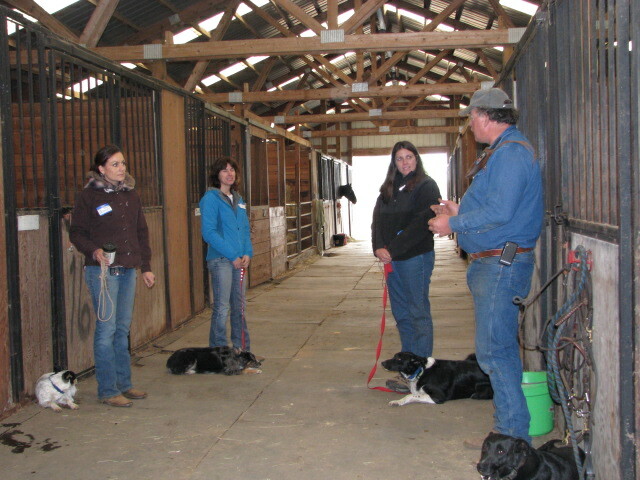 Second, a hearty thanks to all of you who came to my clinic. 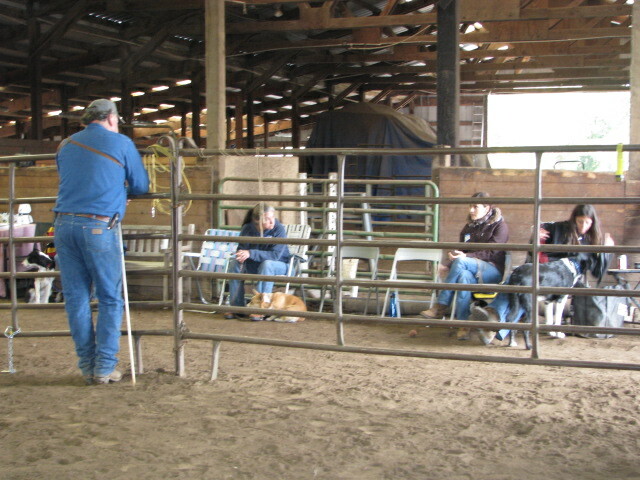 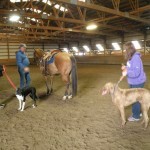 We were able to work through a bunch of different issues for each individual and their dog. 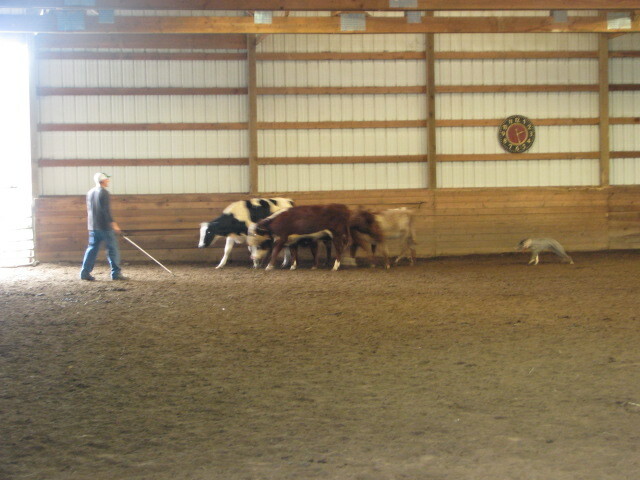 We started a young “Trayer” pup in his quest to becoming a real cattle dog. 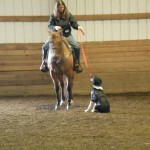 When he walked into the clinic he was a great pet who was happy to lie on his back like a baby or have a ball thrown for him. 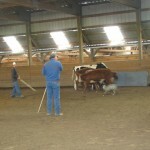 We started him working with my seasoned cow veteran and personal “go-to” cow wrangling buddy, Hangin’ Tree Tyson. 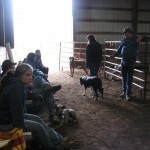 One of the best ways to get some of these young and inexperienced pups started is to have a solid dog to go in and show them the ropes. 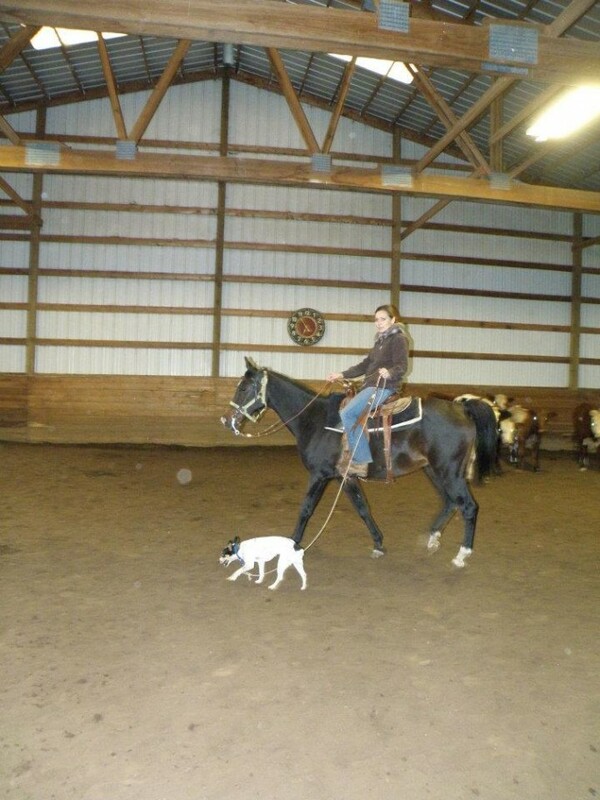 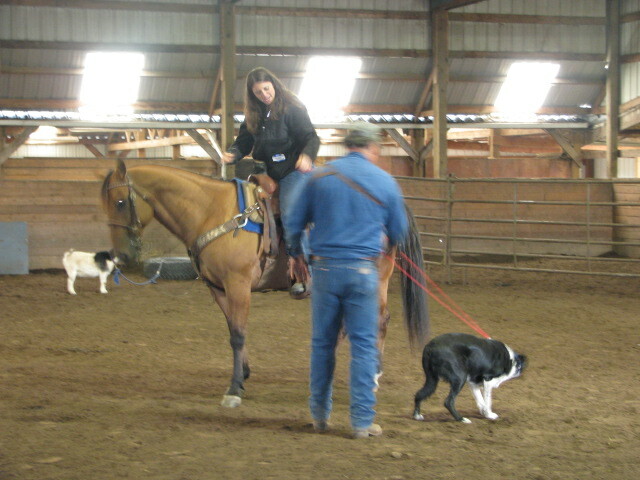 By the end of the weekend this pup was becoming a real working cow dog. 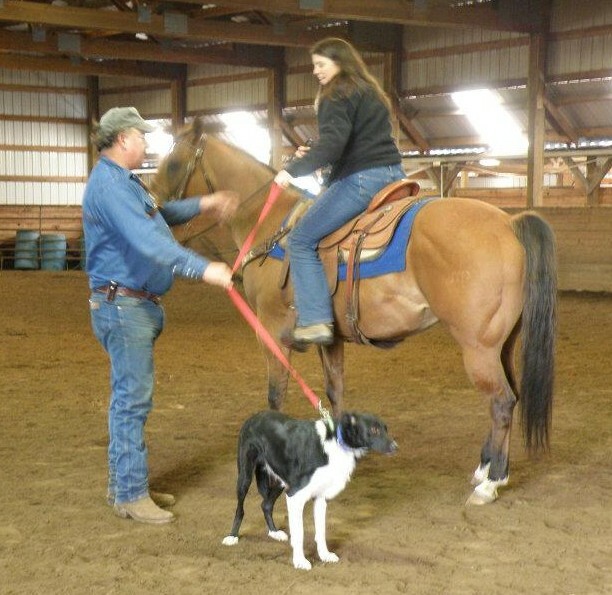 With consistent work from his owner, this pup has the makings of a great partner out on the ranch and an obedient pet in the home. 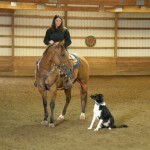 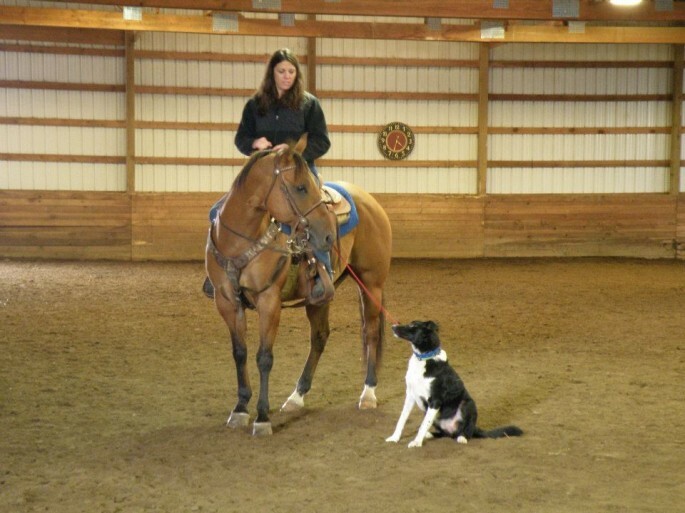 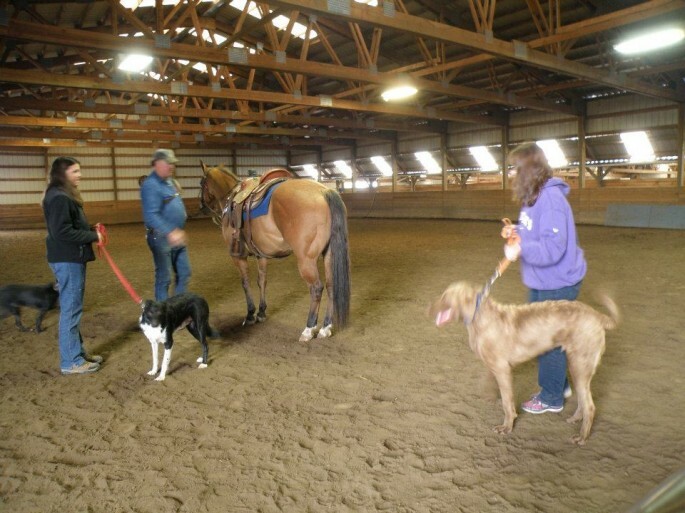 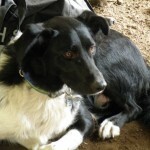 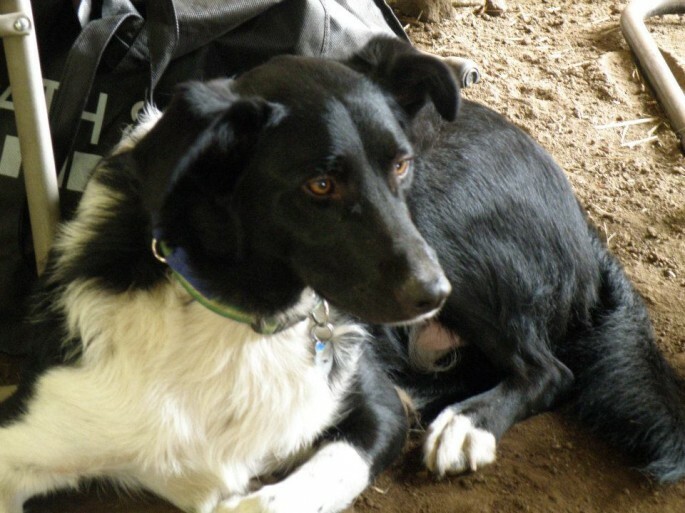 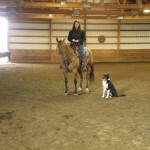 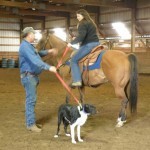 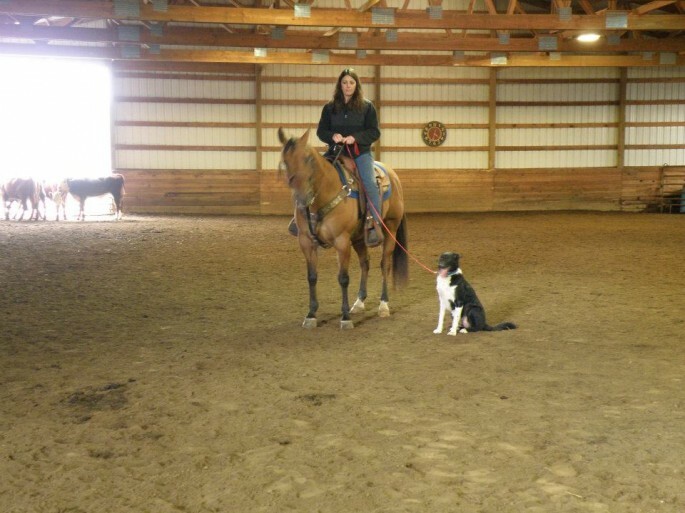 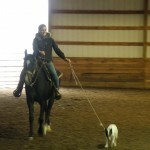 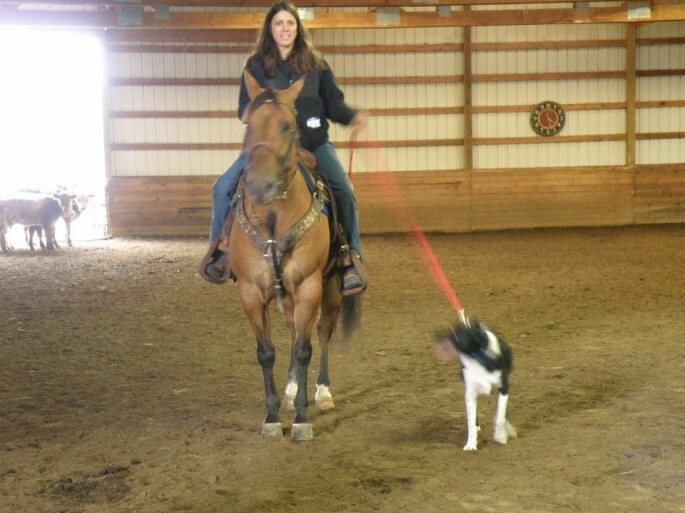 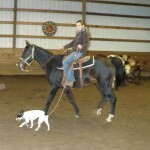 An energetic Aussie/Border mix came in as a friend and companion dog looking to learn a little more respect around horses while riding both in the arena and out on the trail. 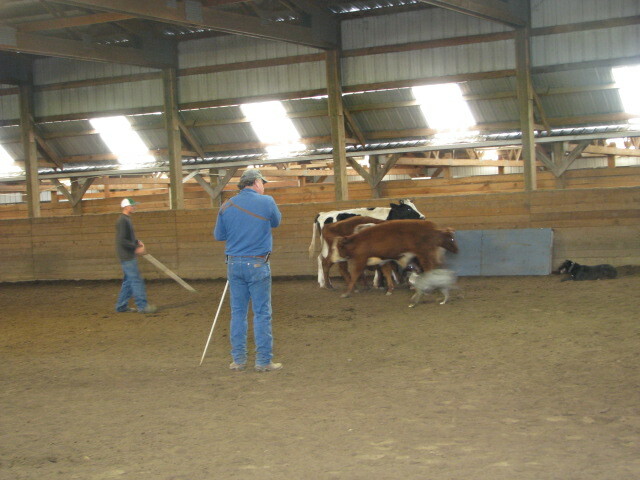 We started with a little ground work letting this dog know exactly where the “Black and White” areas are. 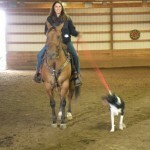 One of which was “you may never go ahead of me”! 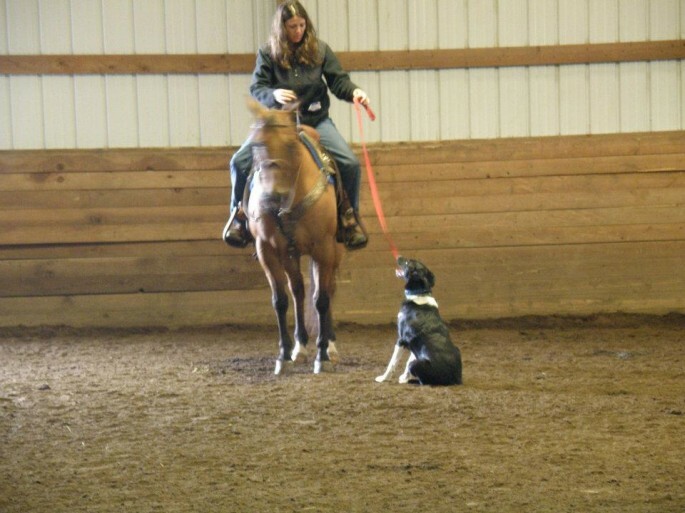 This translated very nicely into “you may never go past my horses shoulder; the safety zone is always beside or behind mom” once the owner was on a horse. 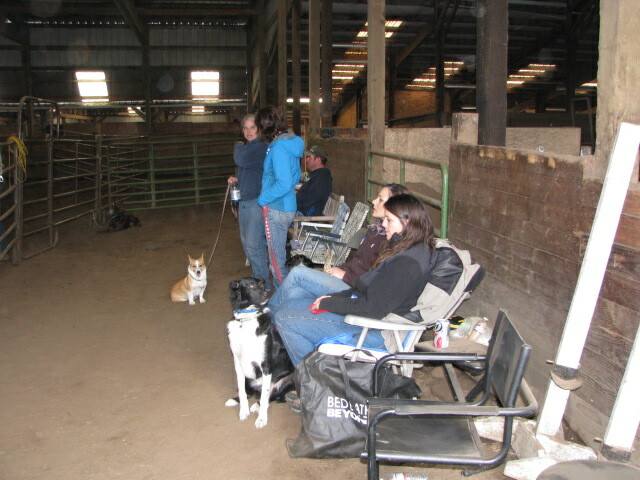 It’s always fun to have a family come in with their own projects and we got that with a little Corgi and a working-dog mix. 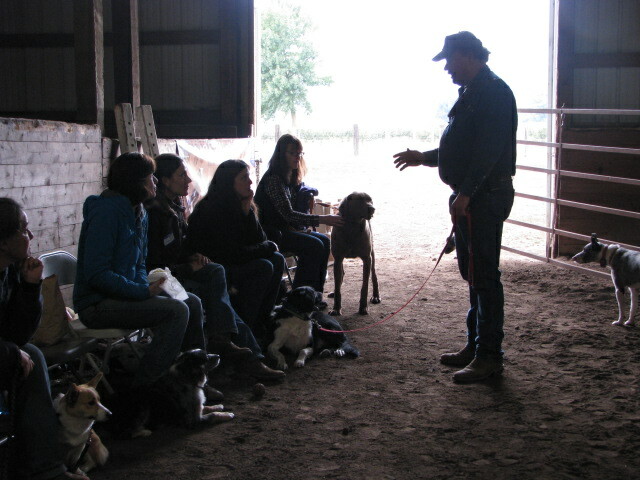 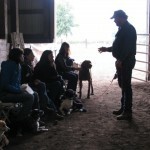 Each of these folks came in with a desire to learn more about using their dogs for their intended purpose and getting a better handle on general obedience. 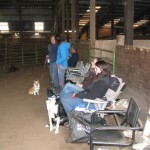 The Corgi learned what the fundamentals of herding would be if there were chickens or ducks with a little goat thrown in the mix, along with a general obedience brush up. 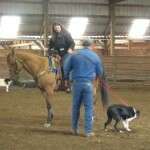 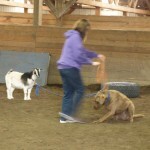 The working dog put in some hard and not always easy work on obedience. 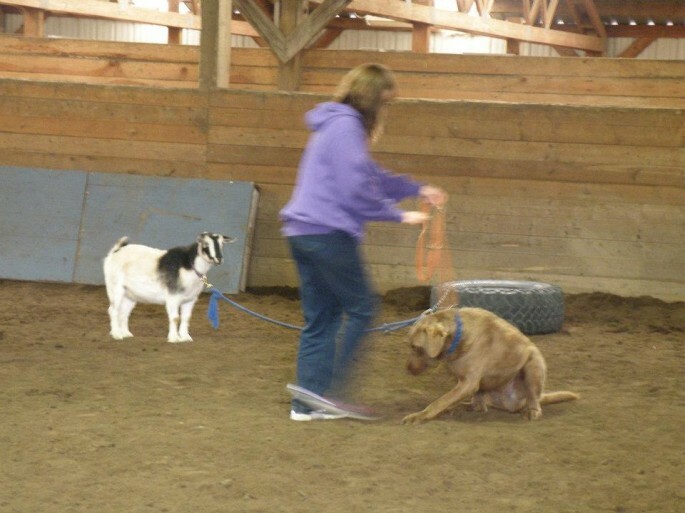 One of the owner’s goals was being able to have the dog “stay put” in the area for those times when there are several people moving around and no room for a pup to be running amuck. 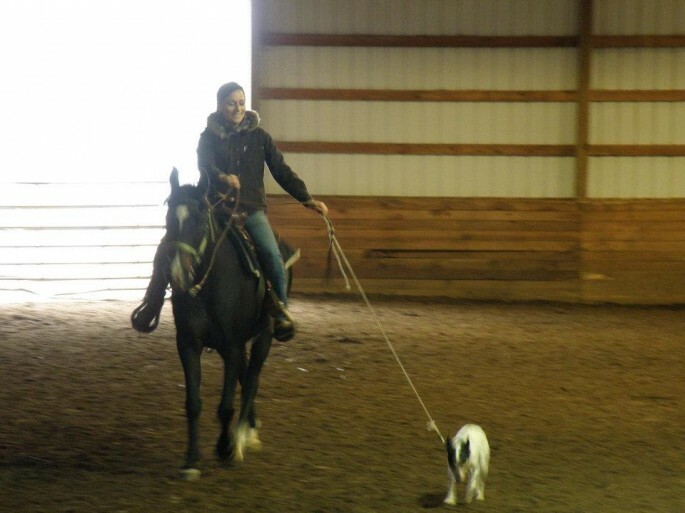 Success was achieved on this! 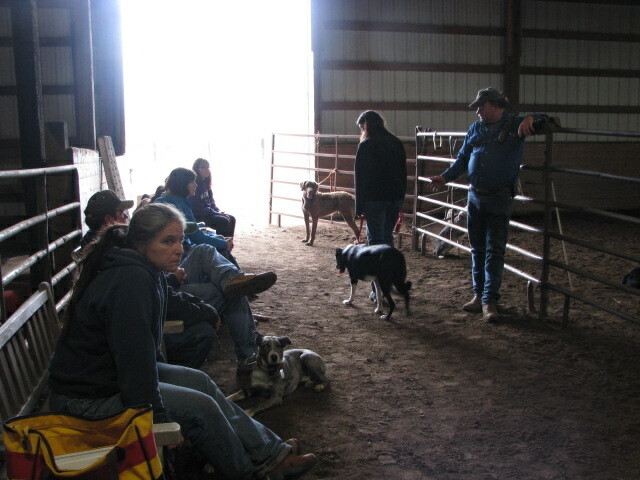 In the end all the dogs did a great job and the owners had a great time learning new ways of working with their dogs and getting some super results! 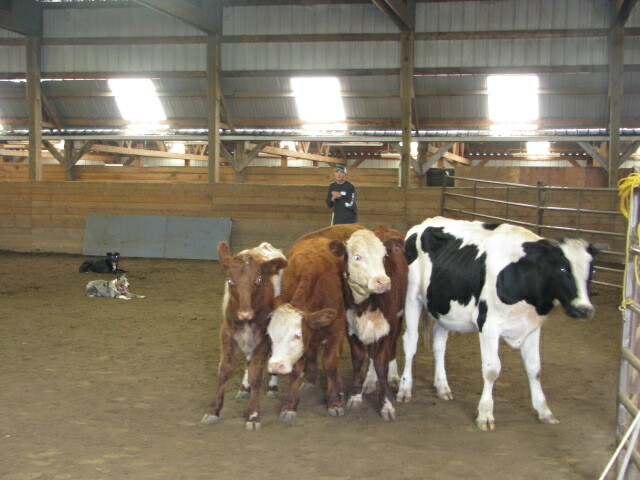 Thank you to everyone who came to Oct./Nov. 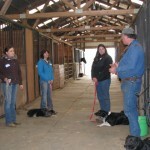 clinic and for putting such great effort into your dogs. 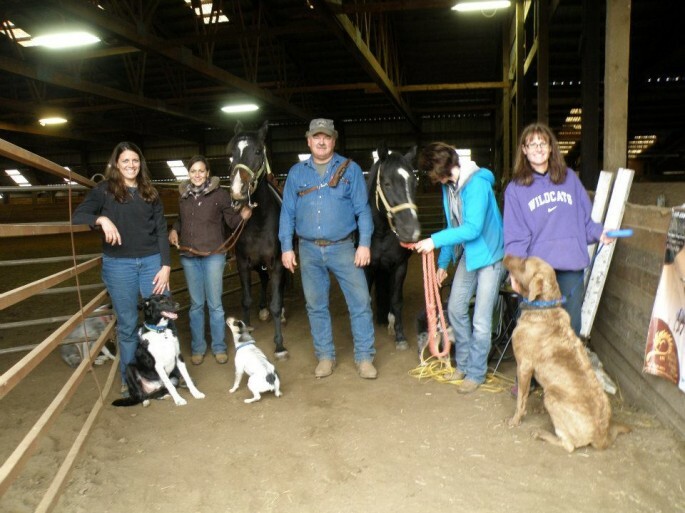 They were all great to work with and it was my pleasure working with everybody there.